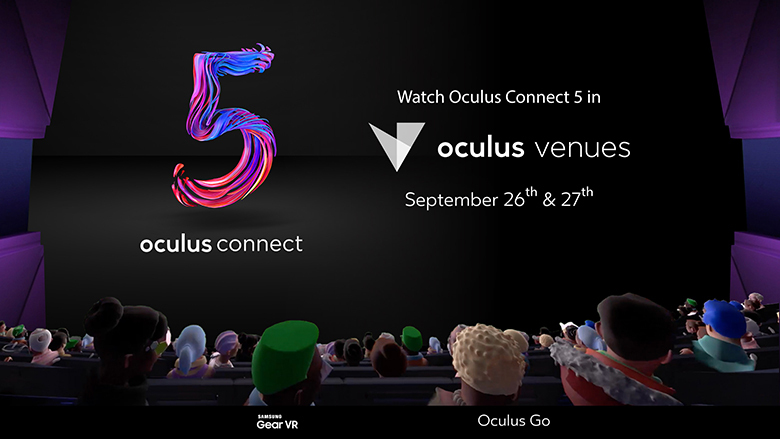 Oculus invited me to attend a streaming party, to watch the keynote speech of Oculus Connect 5. Visitors can watch the keynote on the television, but the main draw was that it can be watched on Oculus Venues. The core idea of Oculus Venues is sound. Watching new movies from Lionsgate, games from the NBA, and comedy nights from NextVR, is a great way to connect with people. It is also, in theory, a great way to experience events without attending them. However, at the event, a number of journalists found the experience to be laggy, low quality and mired by issues. This reached the point where most of them, save for a few who dipped in and out of the headset, opted to watch the livestream on TV over Oculus Venues. These issues are not directly related to Oculus. Several users drew from the internet at the same time, slowing the service for all. I can also imagine that having thousands of Oculus users logging in to the same service can cause server issues. Beyond this though, many people found that it was more comfortable to take the headset and socialise, drink beer, eat pizza, and debate new announcements as they rolled through. People opted for face-to-face contact over using a service designed to help people bond over great distances. I may be incredibly unfair to Oculus Venues. The app is for private use, not with friends in the same room. It makes sense for the journalists to turn away from them. That said, the low quality of the feed would not have helped them. If ironed out, Oculus Venues would be a fantastic service. There will be a place for Oculus Venues, and as someone who watched live event, it’s fantastic. One of my favorite ways of watching events is documentaries, such as punk indie wrestling – while scripted, it was a great way of learning and watching something new. However, I found that it has not beaten watching it on the TV in 4K, with friends by your side. Even without friends, it’s great to have a laptop open to chat with friends, as I personally find it more comfortable than having a friend chew on their food into your headphones while watching a show. Oculus Venues has its niche, and with developments in its technology, I am sure it’ll become an incredibly high-quality experience. For now though, I am opting for a TV.